Voyant is developing the first fully automated point-of-care urine diagnostic platform for the connected healthcare provider. Our initial solution supports pregnancy screening in acute care settings. The problem we solve: Nearly 154M pregnancy and general urinalysis (UA) tests are conducted in US ambulatory settings each year. These tests can be performed manually by clinical staff at the point-of-care via urine test strips – a time and labor intensive process. Pregnancy testing in the ED, for example, takes an average of 65 minutes. When performed in a high throughput setting, the current process is susceptible to user errors by clinical staff, which can lead to unreliable results. In addition, the user experience for both patients and clinical staff is poor. About our solution: Our add-on device to toilets automates urine pregnancy testing from specimen collection to delivery of results. The patient first scans her hospital barcode ID wristband on the device before urinating into the toilet. The device automatically collects, processes and analyzes the sample for hCG, the pregnancy biomarker. The system then sends the results to the EHR system. By removing clinical staff input, Voyant’s device delivers reliable results in less than 5 minutes and reduces the cost per test by 50%. We have filed our non-provisional patent with a priority date in more than 150 countries. We have closed our seed round, which was funded by angel investors in healthcare and high tech. We have elicited strong interest in conducting further clinical trials with other institutions. We have formed a Medical Advisory Board with physicians from leading institutions such as Northwestern University and The University of Pennsylvania. We have formed an Advisory Board comprised of the Founding CEO of BJC Healthcare, the Founder of IDEO Chicago, a leading pathologist and expert on reliability issues with pregnancy tests, a former R&D leader of Abbott Diagnostics with 85+ patents, and the former CEO of an acquired women's health medical device company. 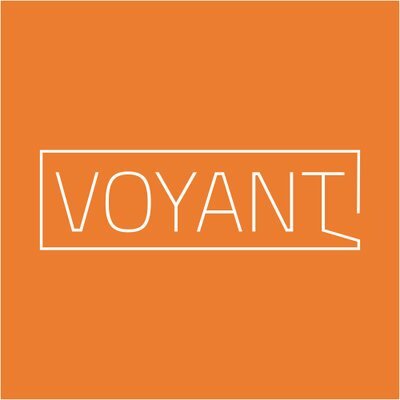 Voyant has been recognized as a Finalist at healthcare startup competitions on the national and international stage. These competitions include MedCity Invest, Insight HealthTech, and Giant Beanstalks. Bio: Voyant is led by Michael Tu, who has experience co-leading the development of a new Class II medical device from its early concept through successful regulatory approval. 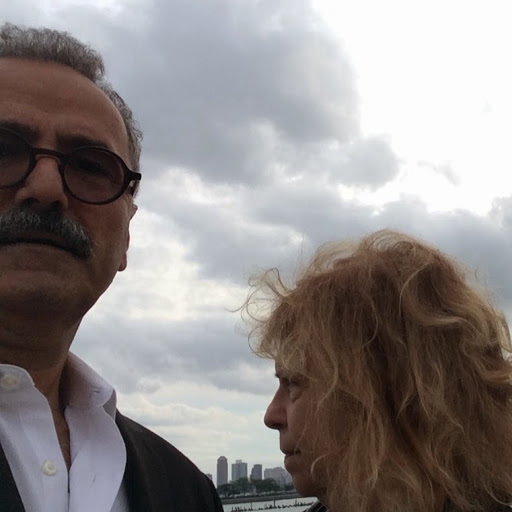 The founding team has engineering, clinical and business expertise. Our advisory board is comprised of a diagnostics technical leader, leading clinical chemist, medical device executive, major healthcare system executive and human-centered design expert. They are given a urine collection cup, have to urinate into the cup over a toilet, and then have to walk the cup to a designated drop-off spot. This process is unduly burdensome for the patient. For healthy patients, urinating into a cup can be uncomfortable, but for older or injured patients with weaker body strength, urinating into a cup can be physically difficult and unhygienic. Then, patients have a 'walk of shame' as they carry their urine cup to a table where all of the urine samples are collected. Voyant's solution removes the burden from the patient. Rather than have the patient hold the cup, urinate into the cup, and then carry the cup, the patient simply urinates into the toilet like normal, improving the patient's experience. More importantly, by automating the urine testing process, the patient is able to get their results sooner, resulting in a shorter length of stay. Currently, the pregnancy testing process in hospitals can take an average of 65 minutes. This results in increased length of stay as this hinders a physician's ability to make a decision on how the patient should be treated, such as whether they should or should not get a CT scan. Further, there are human errors that occur during the testing process, such as mislabeling the sample, misplacing the sample, misinterpreting the test result, and entering the incorrect result in the EHR. Lastly, the current pregnancy test costs the hospital $7 each, including the cost of active labor. Voyant's technology automates the pregancy testing process, delivering reliable and accurate pregnancy test results within 5 minutes. This reduces the cost of labor by 50% for each test. By providing the results in a reliable and timely manner, physicians are able to make faster responses and get their patients treated sooner. Nurses and medical technicians no longer will need to perform urine tests, and can spend more time with their patients to help them improve. By reducing the length of the patient's stay in the ER, the physicians are able to treat more patients and improve turnaround time in the hospital. Long-term, we also anticipate including IoT offerings and big data offerings that can further improve the efficiency of the hospital. We anticipate offering a CLIA quality assurance system, which enforces at least five CLIA Standards for Quality Assurance, an inventory management system that can help the hospital track related inventory for Voyant's device, and an on-demand data platform with syndicated reports to help hospitals identify areas where they can improve efficiency. Currently, the pregnancy testing process in hospitals can take an average of 65 minutes. This results in increased length of stay as this hinders a physician's ability to make a decision on how the patient should be treated, such as whether they should or should not get a CT scan. Moreover, the current pregnancy test costs the hospital $7 each, including the cost of active labor. Voyant's technology automates the pregancy testing process, delivering reliable and accurate pregnancy test results within 5 minutes. This reduces the cost of labor by 50% for each test. By providing the results in a reliable and timely manner, physicians are able to make faster responses and get their patients treated sooner. This reduces the length of the patient's stay in the ER, improving the hospital's throughput, so the physicians are able to improve turnaround time in the hospital and admit / treat more patients. Hospitals will be able to improve these key operational metrics for an ER. Further, there are errors that occur during the testing process such as mislabeling the sample, misplacing the sample, misinterpreting the test result, and entering the incorrect result in the EHR. These errors, particularly in cases where there is a false negative, can result in large malpractice lawsuits against the hospital. By having a device that can reliably perform all steps of the urine testing process, the likelihood of test-related malpractice lawsuits will significantly decrease. Voyant’s platform can be used to deliver other point-of-care tests, which will be made available through customizable cassettes. In the short term, Voyant will address inefficiencies in pregnancy testing and general urinalysis testing in the acute care setting. In the long term, we will address inefficiencies in various other testing, such as drug testing and testing for novel biomarkers, in various different settings, such as the at-home setting. As we can handle rapid, high-throughput mass screening, our technology can be used for low-cost, large-scale clinical trials, enabling evaluation and commercialization of novel urine biomarkers. By moving our device into the home, we can monitoring of chronic diseases via urine, which can then be used to support the management of healthcare for elder, Medicare populations. Voyant Diagnostics is currently a member of MATTER, a health-tech incubator in Chicago, The Incubator, an science innovation incubator and lab space in Skokie, IL, and mHub, a physical product incubator and working space in Chicago. In collaboration with MBHB, Voyant filed its non-provisional patent to receive a priority protection date globally in 152 countries for the diverse core technologies behind our digital hardware health platform. These technologies include the device and its subsystems, as well as the platform's capabilities with: -Existing and novel biomarkers -Internet-of-things -Big data -At-home monitoring -Patient predictive diagnostics through machine learning Our non-provisional patent protects numerous design permutations of our system, sub-systems, and current / future use cases of our device that are in our product road map through 2026. The broad and forward-looking nature of our patent creates a long-term significant barrier to entry for competitors. In our Seed and Pre-Series A Rounds so far, we have raised $100,000 from three different angel investors in healthcare and high tech through preferred stock. In September of 2018, we closed our seed round with $90K at a $4M valuation. We have opened our Pre-Series A Round at a $8M valuation, in which we are raising $1M. We have partnered with Northwestern University to conduct a successful clinical trial of our device that demonstrated its accuracy in determining the pregnancy status of patients. We have also partnered with Partners in Pelvic Health, an affiliate of the NorthShore health system, to conduct a design and operational research study in a private urogynecology setting to understand patient and clinician needs. Our clinical study partners have joined our medical advisory board, including an OB/GYN physician from Northwestern, an emergency medicine physician from the University of Pennsylvania, and a urogynecologist from Partners in Pelvic Health. We have filed a non-provisional patent that givens us a priority date both domestically and internationally in more than 150 countries. Voyant has successfully completed a clinical trial with Northwestern University with 54 patients. The study evaluated the feasibility of using a fully automated point-of-care urine diagnostic platform to accurately determine the pregnancy status of patients. The study's objective was to demonstrate a device accuracy of at least 95%. Voyant's device exceeded this accuracy, achieving a final accuracy of 98.15% on 54 blinded patient samples, representing a 95% confidence and power level. The results included no false positives, demonstrating that the device was able to prevent cross-contamination of results from different patients. The singular false negative from the study surfaced an opportunity to improve our image processing algorithm. An updated algorithm was able to achieve 100% accuracy on the same 54 sample images captured by the device. This study was performed in collaboration with Principal Investigator and Associate Professor Dr. MaryEllen Pavone and researcher Rafael Confino from the Department of Obstetrics and Gynecology, Division of Reproductive Endocrinology and Infertility. We also worked with researcher Megan Connolly from the Woodruff Lab. Our device is a Class II medical device under the 510(K) pathway for FDA clearance. Our device has many predicates in pregnancy testing. which creates a low-cost regulatory pathway with minimal clinical trial burden. In 2019, we will be conducting a clinial trial to pilot our device in an emergency department, which will demonstrate our device's ability to improve operational efficiencies in emergency departments, as well as improve the patient and clinician experience with urine testing. Then, in 2020, we will conduct a clinical trial in an emergency department to generate clinical evidence to support our FDA submission in 2020. We are raising funds and looking for volunteers and participating institutions for these clinical trials. Funds will be used to continue our product development to ready our device for a clinical trial in which our device is deployed on a toilet in an emergency department. We are currently raising a Pre-Series A Round of $1M to support this product development and clinical trial. At Voyant Diagnostics, we believe that we can make a difference in the patient's experience in an emergency room. The current urine testing process extends the patient's stay in the ED and gives the patient an uncomfortable and unhygienic urine collection experience. By simplifying this process, we hope to improve the patient's experience and reduce the patient's length of stay. For point-of-care testing, we can address the needs for all hospitals, which accounts for 42.5% of the market or $7.9 billion, based on the Databridge Market Research Report from 2016. Additionally, we can address the needs for office-based outpatient clinics. There are currently 4,820 emergency departments and 342,956 office-based outpatient clinics, meaning that there are a total of 347,776 potential customers who would be able to use our device. We would be able to address all pregnancy and urinalysis tests that these medical settings currently perform. Currently, there are a total of 46 million tests being performed for pregnancy and urinalysis in the emergency setting, and a total of 108 million tests being performed for pregnancy and urinalysis in the office-based outpatient clinics (“National Hospital Ambulatory Medical Care Survey,” CDC Center for Health Statistics (2015)). We expect to spend $8M to reach FDA approval for pregnancy testing by 2020 and an additional $1M for general UA by 2021. We will begin generating revenue in 2021. We project 14% penetration of global ambulatory settings by 2026, our target exit date, which represents $135M in annual gross revenue and $81M in gross profit. We calculated the figures based on a bottom-up method (# of tests * Voyant price per test). The market includes emergency departments and office-based outpatient physicians. While some revenue will come from device sales ($1,500/device), we expect to drive revenue primarily through the sale of test strip cassettes ($3.50/pregnancy test, $0.40/general UA test). We plan to sell to nearly 350K EDs and office-based physicians in the US and more globally. With the bulk packaging of our cassettes, we will be able to achieve profit margins of 71% and 75% on pregnancy and general UA tests, respectively – higher than that of current test strips. Providers will charge patients for each test, which is reimbursable by insurance.